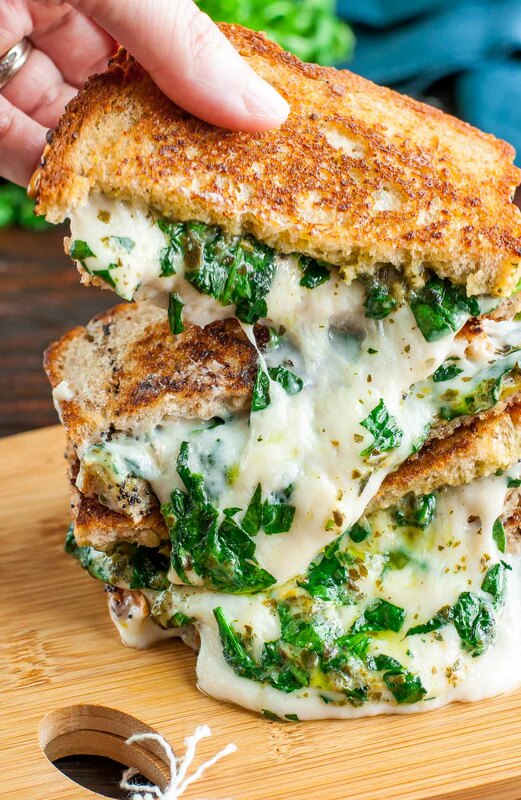 This easy cheesy vegan spinach pesto grilled cheese is ready to straight-up rock your socks off! This plant-based sandwich is SO MELTY! 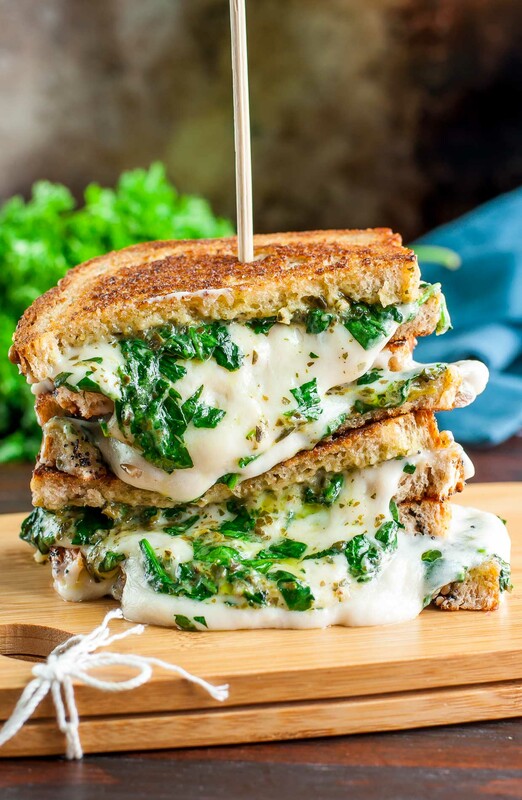 Whether you grab some super melty vegan cheeze slices or opt for traditional cheese, these spinach and pesto spiked grilled cheese sammies are sure to rock your plate… and your face! If this scrumptious sandwich looks familiar, it is! I first featured this bad boy as part of a grilled cheese series I did with my friends at Daiya a few months back called Vegan Grilled Cheese Sandwiches; Three Ways! Because y’all were having trouble finding the individual recipes I decided it was time to give each sandwich their own post. Now they will all have their own handy dandy recipe card, complete with PRINT function – woot! 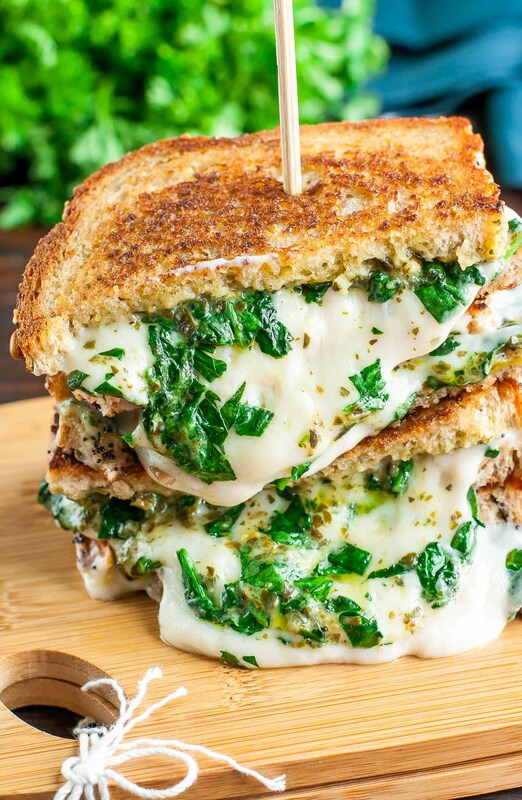 So let’s grab some spinach + pesto and make some uber melty grilled cheeeeeeze! Make one for yourself, or whip up a few for a hungry crowd; anything goes! 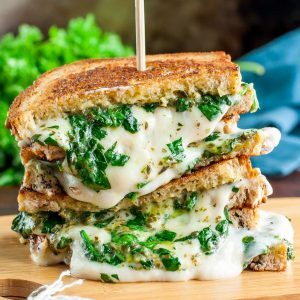 Pair this gorgeous green grilled cheese with a veggie-flecked side salad or a steaming hot cup of soup to round out the meal. First sauté your spinach on medium-high heat with a little buttery spread or oil. Season with salt and pepper to taste and set aside. Top one slice with Daiya Swiss Style Slices and sautéed spinach, then top with the other slice, pesto side down. For an extra golden crust, spread the outside of each slice of bread with vegan buttery spread or coconut oil. Next heat a pan to medium heat with some extra buttery spread or coconut oil. Once hot, add your sandwich. Use a spatula to press down on the grilled cheese, and feel free to pop a clear pot lid on top to help melt the slices. Before flipping, add a little more spread/oil if your pan is dry. Pop your lid back on if you're using one and grill each side until golden brown with a melty center. MELTY GRILLED CHEESE TRICK: For the meltiest sandwich ever, pop it in the microwave for 15 seconds or so after grilling for the most epic vegan cheese pull of all time! It’s so melty!!! *swoon* Hope y’all love this easy CHEEZY sandwich as much as I do! Looking for more vegan grilled cheese? 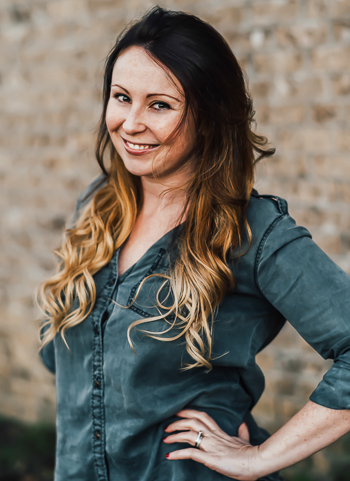 Check out this post for the full trio. The tasty recipes below are written using regular cheese but can easily be made using your favorite vegan cheese for allergy-friendly plant-based eats, SCORE! So simple yet so yum. OH I love this soo !!!! I know that cheese!!! I wanna try this so soon ! Looking forward for recipes like this .. Thanks Jenn 🙂 ! isn’t daiya magic?! I love how you combined it with garlicky pesto. I’m down.